IBM i ACS Update is available and even though it’s only a minor one its still nice to have so lets click the upgrade button. 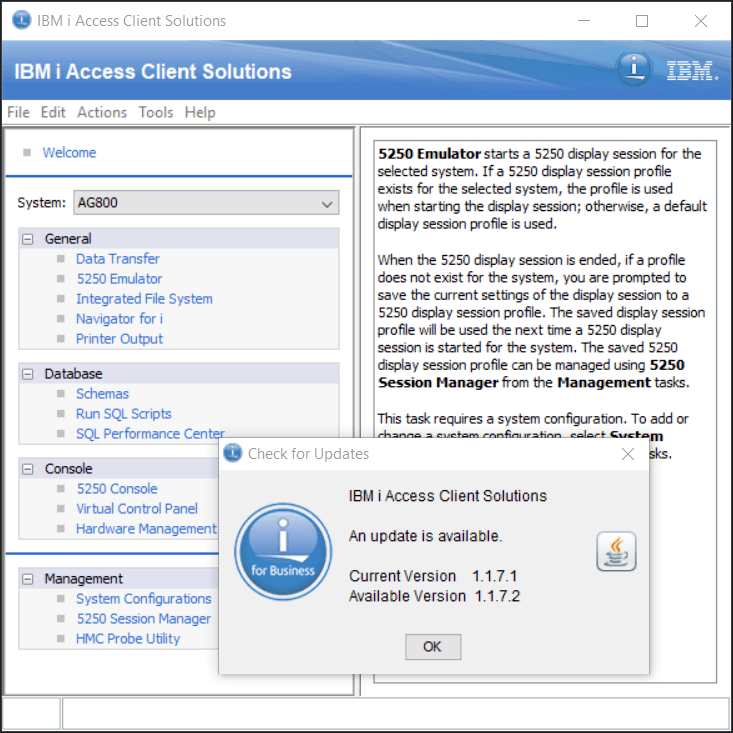 IBM i Access Client Solutions is the newest member of the IBM i Access family. It provides a Java based, platform-independent interface that runs on most operating systems that support Java, including Linux, Mac, and Windows™. We are proud of IBM i ACS and we are going to release regular updates but not tell you how to install them. Welcome to the world of IBM Software. Only joking. It doesn’t exist. So lets do this manually. Womble off to the main IBM i ACS webpage or skip all that nonsense and just grab the update yourself. 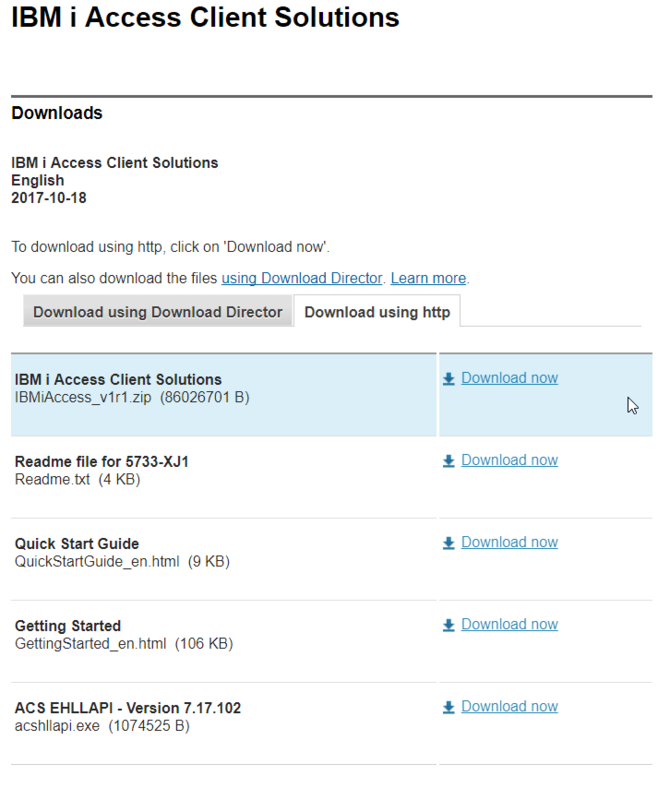 The latest updates are available at IBM i Access Client Solutions base package. You will need to login and download the latest cumulative fixpack and basically install it over the top of what you already have. If you don’t already have an account create one – I suggest you use your personal email and then you can keep the same login information wherever you go in your career. Once you log in, update your profile info (IBM always prompts you to keep this current) and then goto the download screen. This ZIP file is the full IBM i ACS repository in a ZIP. You simply unzip it wherever you wish and then goto the WINDOWS_APPLICATION folder and run the installer – either 32 or 62 bit depending on your flavor. If you are unsure of version – run the UNINSTALL first and the INSTALLER. Thats it – upgrade completed. It’s a little messy but it works … most of the time. (Like I did) then just unzip it over the old version. Slurp coffee… realize its cold… go get another one. A delicious ball of sugary dough fried in Hogsfat and washed down with bitter coffee beans utterly boiled to death in rancid tap water.